Fun Fitness Gift Guide | Move your Assets! ← How to Eat Your Christmas Tree – Edible & Healthy Pine Needles! The greatest gift in life is good health. Since unfortunately you can’t just go to the store and buy superpowers to become healthy and energized forever, we’ve pulled together a few of the next best things you actually can place in your shopping cart. Each is designed to not only help you work towards better health, but to have fun while doing so. Pick out a few items for the ones you love and / or better yet, put some on your own wish list! Want the idea of hitting the mat to feel more exciting? Create a design that’ll make you want to unroll that cushion everyday! Whether it’s a favorite photo of yours, a quote that inspires, or an image that makes you smile, Cafe Press let’s you custom design your own workout mat. 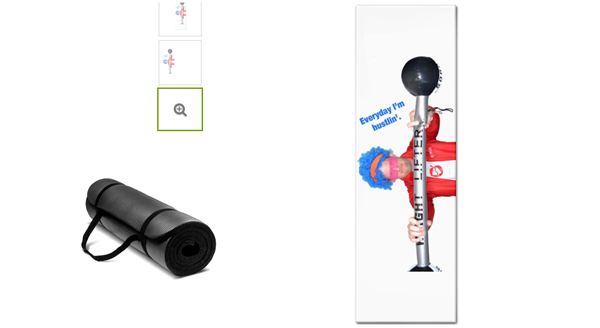 Upload an image, and they’ll do the rest for you, with mats priced at $58. 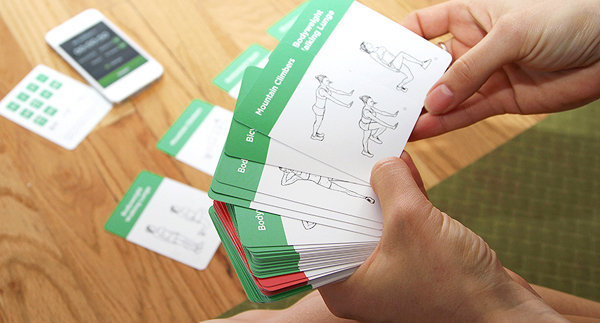 This series by WorkoutLabs is no standard deck of cards, but it certainly can make working out feel more like a game. Plus, the deck offers 50 different ideas for moving your body and tips for making sure you’re planted in the right, injury-free position. Make it a game and choose a “playing” card at random, or carryout one of their six custom-designed routines. No equipment is required; $24.95 per deck. Likely you’re going to indulge in a few cookies this winter season. While having one or two won’t kill your diet, why not power up that holiday treat with a fun and healthy spin? We’re not talking whole wheat flour or healthier ingredient swaps, although, those are welcomed too, of course. Rather, we’re talking yoga pose inspired cookie cutters that just might inspire you to bust out a move when you go to eat a cookie! 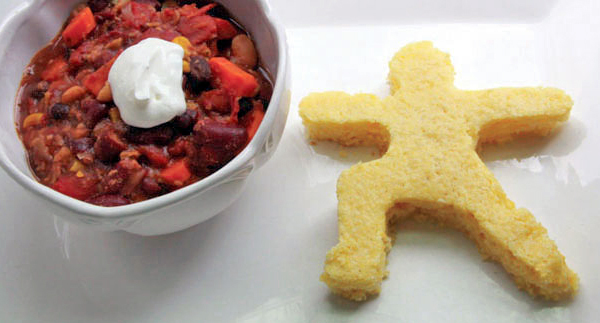 Better yet, put the cutters to use on your cornbread, as pictured above, and pair it with a warming bowl of chili for a truly warrior-worthy combo. Prices start at $8.50. 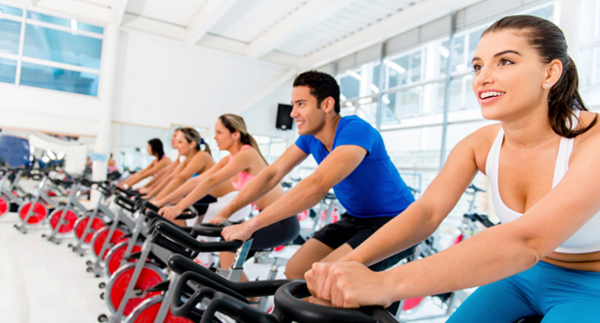 Joining in the group spirit of a fitness class can be the needed motivation to get moving. Plus, when it’s free, you’re more likely to attend. Either put your favorite class onto your own wish list, or encourage the recipient at the other end to try something new. Perhaps it’s a music-heavy spin class, a de-stressing yoga session, or a dance-your-heart-out Zumba class — anything that brings you closer to the greatest gift of all, health. Passes to fitness destinations, like a local climbing gym or ski resort, also make great gifts, too! Want to include the whole family in on this year’s fitness gift? 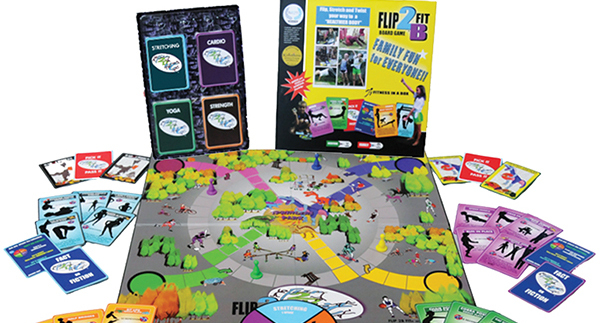 Flip2BiFit’s Fitness in a Box presents a board game that’ll get the whole crew moving, laughing, and having fun. Studies show that after jointly participating in a physical challenge or activity, a stronger bond is created. This year, unwrap a gift that’ll bring the whole family closer together, and put it to use that same day!